North Salinas High School students Denize Ignacio (center) and Aliyah Annis (left) at the 2018 Ethics Bowl high school regional. 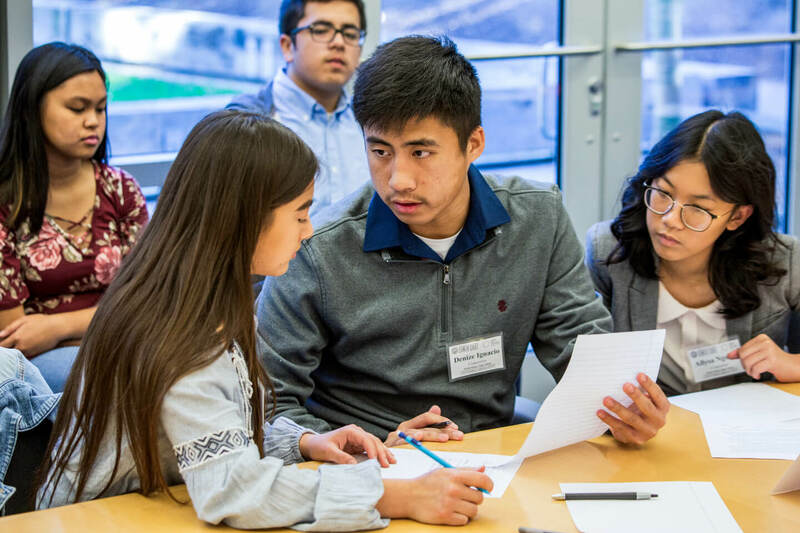 Each winter, high school teams from Salinas to San Francisco travel to UC Santa Cruz to compete in the Northern California High School Regional Ethics Bowl. But the process is very different from traditional debates where teams are assigned a particular side for which to argue. Instead, the Ethics Bowl teams are asked to defend whatever ethical position their sustained reasoning has led them to endorse. The emphasis is on sincere, thoughtful reflection, as opposed to simply persuasion. Kyle Robertson, now assistant director of the Center for Public Philosophy, founded the regional high school program in 2012 when he was a Ph.D. student, and has watched it steadily grow. But his team soon noticed that most of the growth had come from socioeconomically advantaged schools and student bodies. “We saw a need to reach out to schools that don’t have debate programs and students that don’t have these sorts of opportunities,” said Robertson. 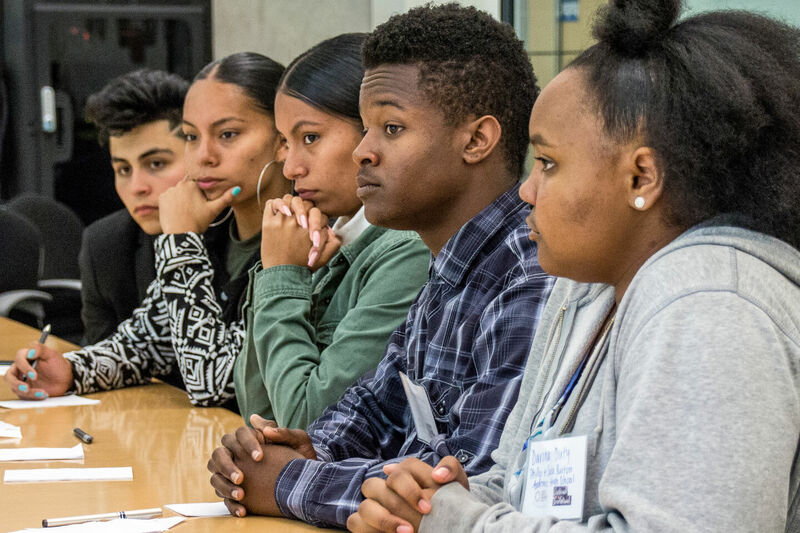 As a result, in 2016, the Center for Public Philosophy established an “Outreach Invitational” program specifically for those schools, as “a low stakes way for students to get their feet wet.” It trained undergraduate philosophy majors to coach the high school teams and brought in community leaders to serve as judges—creating a highly successful model for engaging underserved schools. And by bringing the students to UC Santa Cruz for the main event, they made college a much more tangible possibility. Catherine Ramírez, associate professor of Latin American and Latino studies and director of the Chicano Latino Research Center at UC Santa Cruz, served as a judge for the 2017 Invitational Bowl. She noted that the program provides students with a glimpse of what goes on at the university. “It gives students the opportunity to read carefully, to reflect, to identify and harness evidence, and then present it in as compelling and a eloquent manner as possible—and to have a real exchange with one another,” said Ramírez. “I feel that these opportunities are increasingly rare.